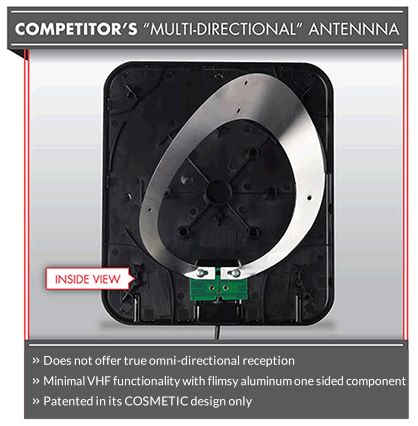 RCA is the #1 selling antenna on the market since 2007 with 7 out of every 10 consumer antennas sold. Check out the below video to see what RCA does better than anyone else to maintain this #1 spot. 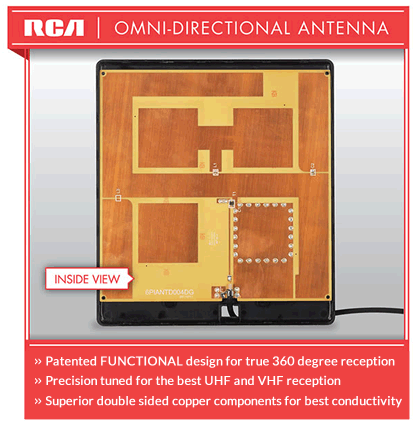 Using RCA patented technology, an RCA digital flat antenna will receive signals from 360° as opposed to bi-directional antennas that competitors offer and call multi-directional. This is great for virtually all TV viewers that have broadcast towers in several different directions from their house as it means no adjustment needed unlike other directional or rabbit ear antennas. RCA digital antennas receive broadcasts in both the UHF and VHF frequencies, unlike some competitors that only receive UHF. 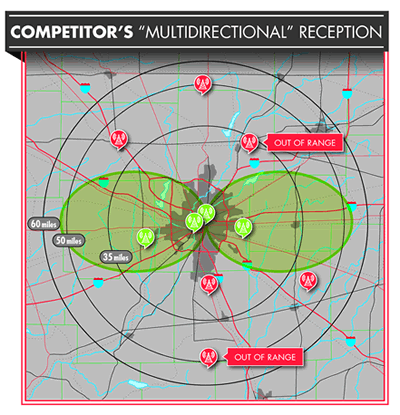 Although more broadcasters are broadcasting in UHF than VHF; with only a few exceptions every major market has VHF broadcasts and they are typically major networks like CBS, ABC, NBC, Fox and PBS. 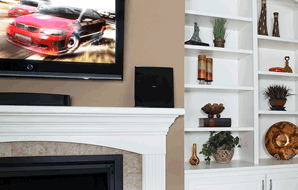 Make sure you receive all your favorite programming by using an RCA digital antenna. 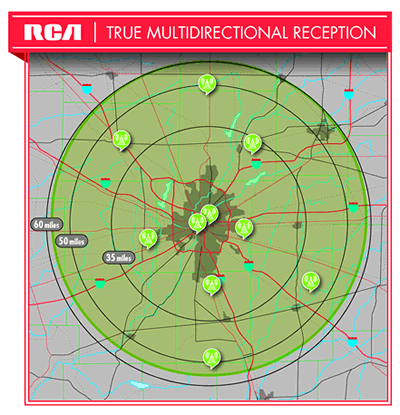 RCA antennas are engineered and built with the highest quality components and testing standards in the industry. Every RCA antenna meets or exceeds all quality and performances standards established by the Consumer Electronics Association (CEA), so you know with an RCA antenna you are buying proven quality. RCA changed the way consumers view antennas dramatically beginning at the timing of the digital transition. RCA introduced flat panel antennas that eliminated the need for rabbit ear type products for the vast majority of consumer applications. 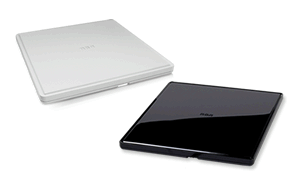 RCA's patented antenna technology allowed for 360° reception in flat antennas, and gave consumers the non-descript sleek profile they wanted for their homes. 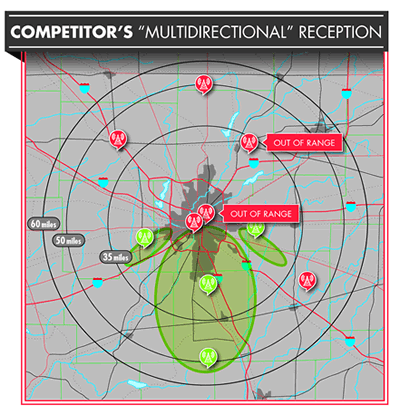 RCA also has innovated the amplification process in antennas with SmartBoost™ technology. SmartBoost™ offers precise amplification that allows TV tuners to pick up and amplify the right TV signals, unlike competitors amplifiers that also amplify background broadcast noise.